A comprehensive one-day Marshall Connects workshop that equips emerging leaders with valuable tools to enhance their effectiveness. Emotional Intelligence workshops that develop valuable personal and professional skills for leadership teams, management and employees. Linda Marshall motivates and inspires by introducing new ideas, sharing different perspectives and overall leaving a positive impact on her guests. We help you enhance your personal and professional performance with specialized professional development workshops, training and more. The result? Your increased business success. Discover the Emotional Intelligence Advantage. Studies have shown a direct correlation between Emotional Intelligence Skills and success in business. There a compelling case for the ROI that companies realize when they invest in their people – both individual and team – with Emotional Intelligence training. At Marshall Connects, we are passionate about the value that we can add through our workshops and coaching. We've seen it clearly elevate our client's capabilities to ignite individual passion and advance work performance. And we've heard our clients report the results. 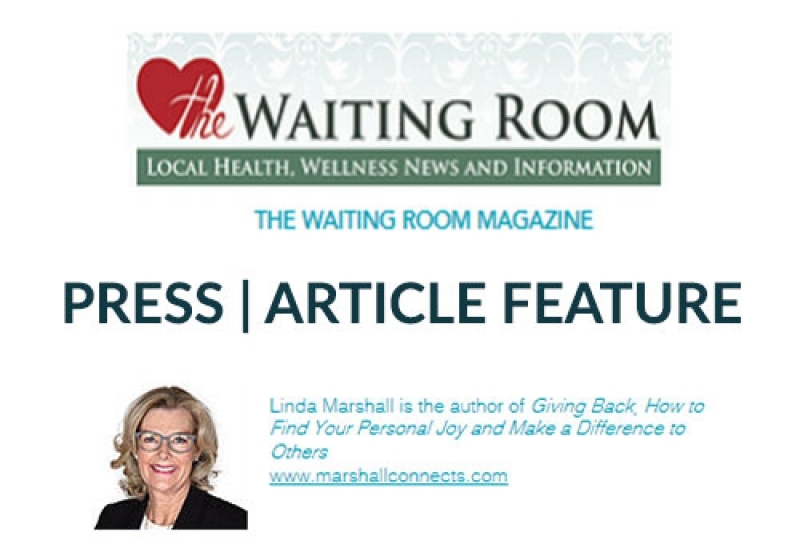 Why You Should Sleep on it Before You Respond was published in The Waiting Room Magazine.